Prose comes from the Latin "prosa" which means "straightforward." Prose can be written or spoken and has no formal metrical structure. It is basically ordinary language - the way people speak. Some of the exports of Brazil are soybeans, sugar, orange juice and iron ore. Tomorrow we have a sixty percent chance of snow with a high temperature around 34 degrees. Michael J. Fox and Tracy Pollan were married in 1988. 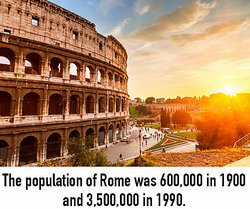 The population of Rome was 600,000 in 1900 and 3,500,000 in 1990. The planets of our solar system are Mercury, Venus, Earth, Mars, Jupiter, Saturn, Uranus and Neptune. A family trust is formed in order to pass assets to children and other heirs. He's a man from outer space and we're taking him to his spaceship. - E.T. Prose examples, as you can see, are found in all different types of literature and entertainment. "Prose Examples." YourDictionary, n.d. Web. 23 April 2019. <https://examples.yourdictionary.com/prose-examples.html>.